So the first semester of my masters wasn't all sweat, blood and tears after all... We actually had a fun practical exercise to do in groups: creating a 'Global in the local' food experience, researching a global cuisine and bringing the class for a meal in a Dublin restaurant. My group chose M&L Chinese (I may have suggested my favourite Chinese restaurant to my peers) but the group that nailed it for me focused on Korean cuisine and organised a meal in Kimchi Hophouse on Parnell Street. It had been on my list of places to try for years and even though I used to work just around the corner I never made there, often going for lunch to 147 Deli instead. Kimchi Hophouse is named after Korea's most famous staple, Kimchi; a fermented dish of napa cabbage, Korean radish, salt and seasonings. Korean people eat it at almost every meal as a side or incorporated into dishes. Known to be good for you too, it's so special for them that they even got it added to the UNESCO list of intangible heritage. Kimchi has been pretty much globalised now, popping up on many menus of even trendy restaurants that have nothing to do with Korean food. My first visit with the class was special because the owner, Kyoung Hee Lee told us how she opened the first Korean restaurant in Dublin and showed us how to make kimchi. Now that I've been three times and enjoyed it each time, it's naturally time to share my recommendation here. Kimchi Hophouse is part a Korean restaurant on one side and a pub on the other side which is quite unusual but adds to the charm. The menu features Korean dishes as well as Japanese items like sushi, maki, rice rolls, sashimi and ramen. 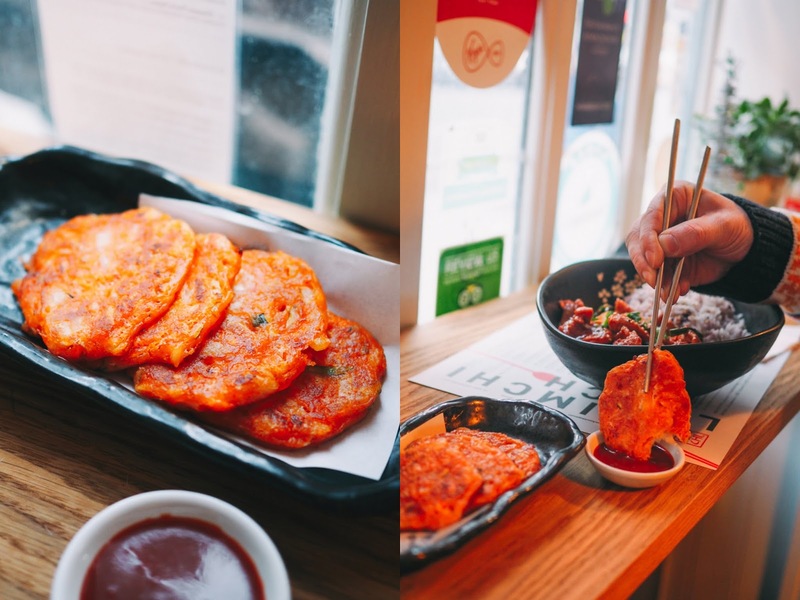 Make sure to order the Korean-style Kimchi pancake (€6.90) as a starter, they're tasty little pancakes in which some kimchi and vegetables have been encased in the pancake batter. 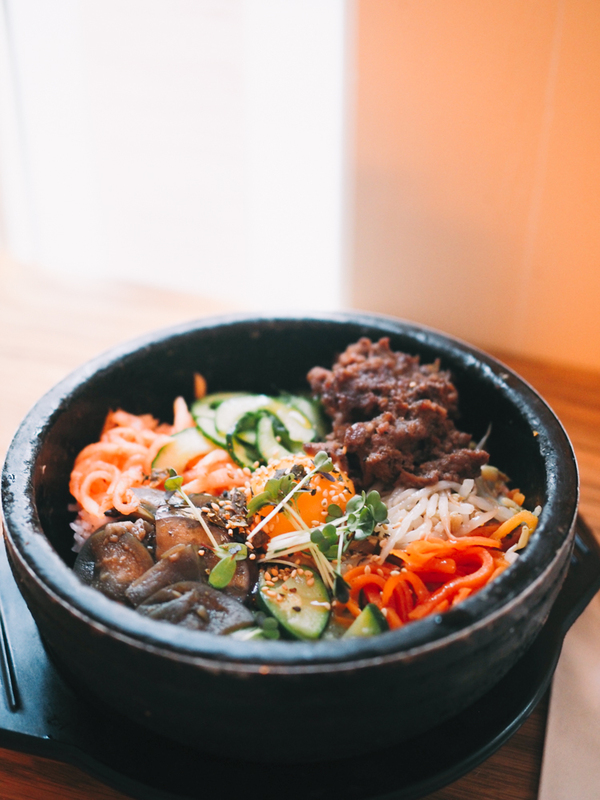 The bimbibap (€9.50) is one of the Korean signature dishes and comes in a heavy hot stone bowl full of steamed rice, sautéed vegetables, a raw egg yolk on top and a topping of your choice (Beef, tuna, salmon, tofu). It's a bowl of comforting goodness that you to mix together and on which I like to smear a spicy chili sauce to add a little bit of a kick. 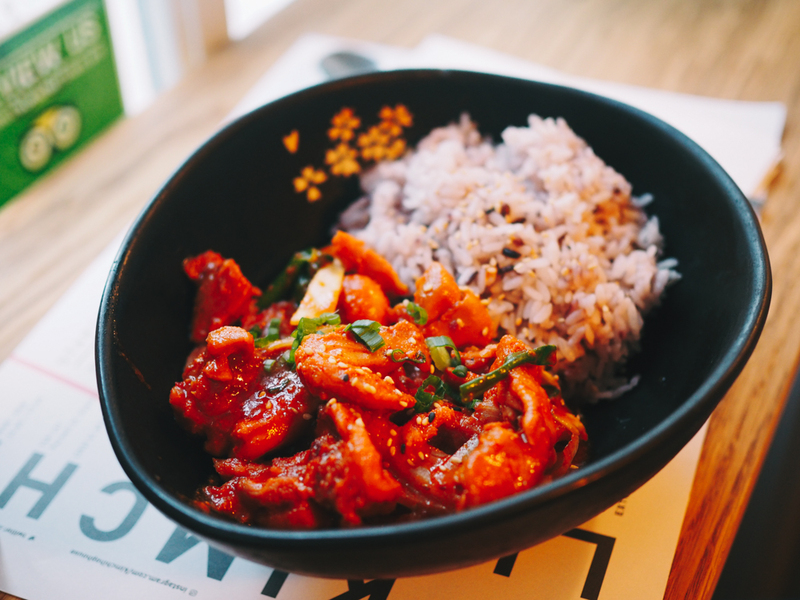 The Kimchi Zigae (€9.50) is a fiery stew with kimchi (obviously) and your choice of tuna or pork. On our first visit together Mr.FFID tried the spicy pork (€8.90) which consisted in pieces of tender pork coated in just the right amount of spicy Korean chilli sauce. Also, one of the highlights from my different visits was the Dakgagnjeong (€16), a dish a chicken fillet pieces which are battered, deep-fried and coated in Korean sweet chili sauce, available on the evening menu only. The restaurant is a great place if you are looking for tasty food that doesn't break the bank. Personally, they totally converted me to Kimchi, which I've been making for a few weeks now. I've even reproduced Kimchi pancakes at home, they're that moreish! 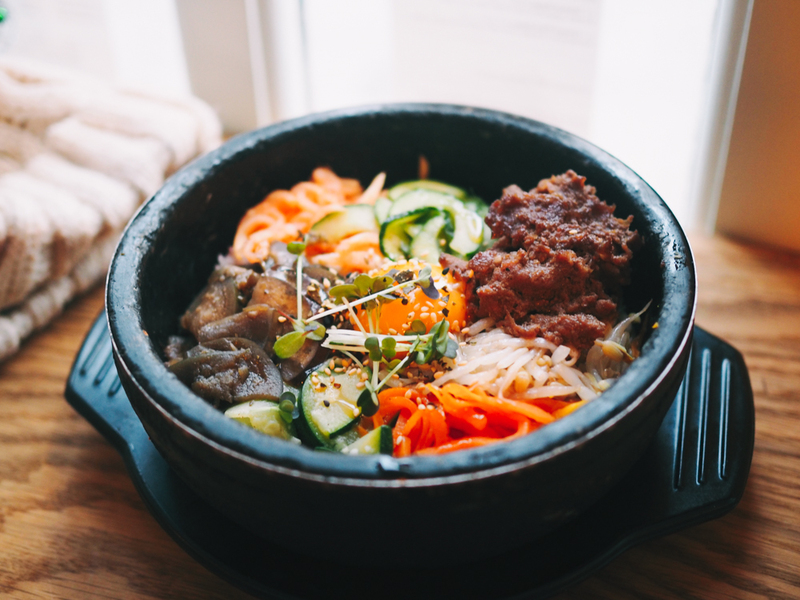 Disclaimer: This is an independent review, I paid for my food every time I visited Kimchi.